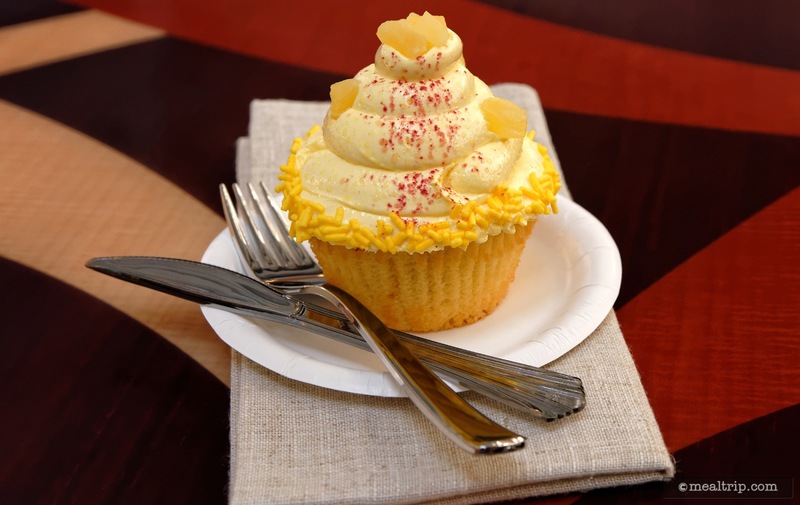 Situated on the fourth floor of the Contemporary, you’ll find the resort’s only counter service location, the Contempo Café. The Grand Canyon Concourse (i.e. the fourth floor) makes for a very unique dining space, where you can watch the monorails whisk by in the large, open (but also indoors, covered, and air conditioned) space as you enjoy your meal . Menu items all fall into the American cuisine category and there are actually quite a few selections, considering how small the kitchen is, and that this is a "counter service" restaurant. There always seem to be three or four flatbreads, prepared salads, and hot plate items available, along with a few sandwiches and cheeseburgers. 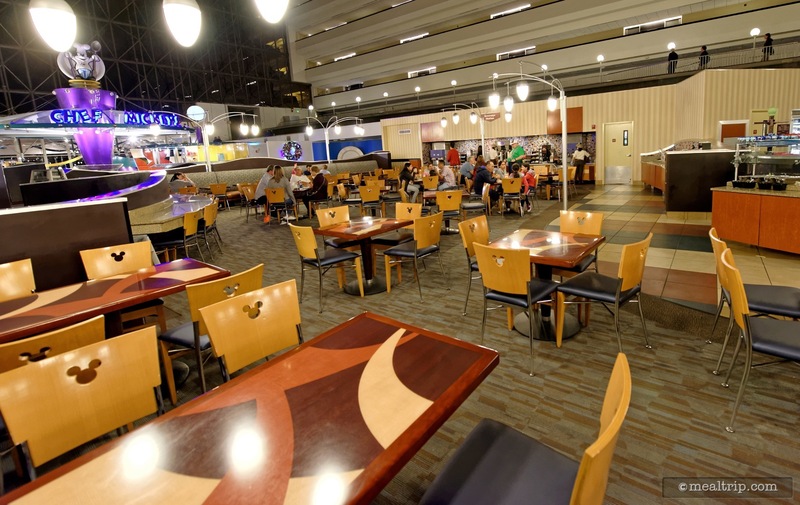 The Contempo Café is not a quiet place during peak dining hours. Because there are no wall dividers to speak of, ambient noise levels are quite high... especially with Chef Mickey’s character dining buffet located right beside the Contempo’s seating area. 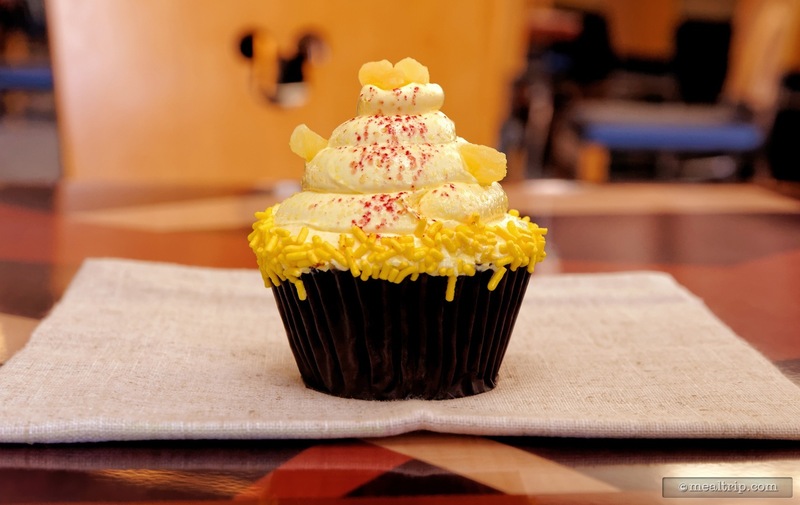 The Contempo Cafe is actually a pretty decent choice for a counter service lunch. The food here seems to be ever so slightly more geared to food-lovers than the burgers, hot dogs and sandwiches that you will find at similar counter service locations. 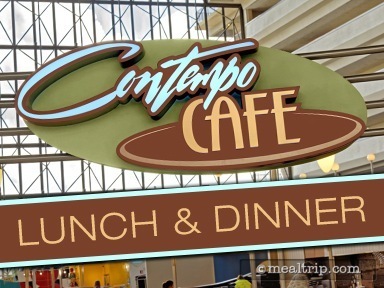 If you happen to be in the Magic Kingdom, without lunch reservations, and find that Pecos Bill's or Cosmic Ray's Starlight Cafe are jam packed (with 10 people deep lines at the registers), it may be worth a short monorail trip to the Contempo Cafe. Located in the nearby Contemporary Resort, it almost always seems to have exactly the opposite crowd levels that are in the park. 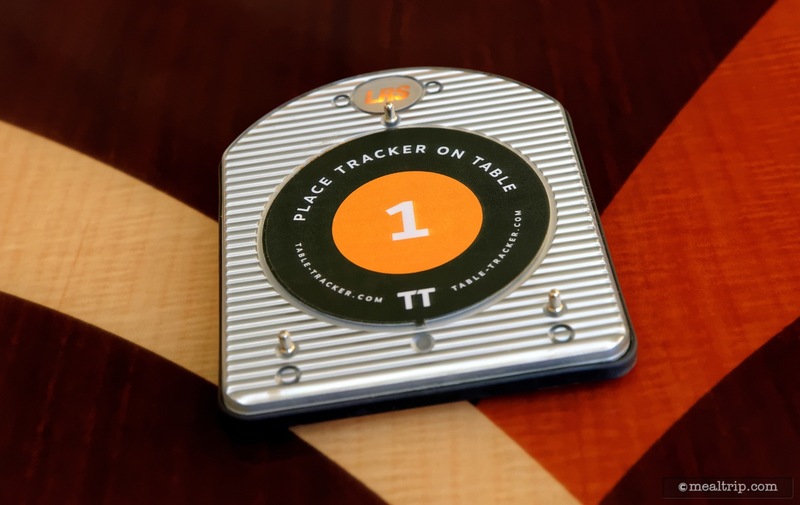 It may take you a little while to get there, but more times than not, you'll find ample seating, air-conditioning, a diverse menu (for a counter service restaurant), and cool monorails to watch zip by as you enjoy a leisurely lunch. 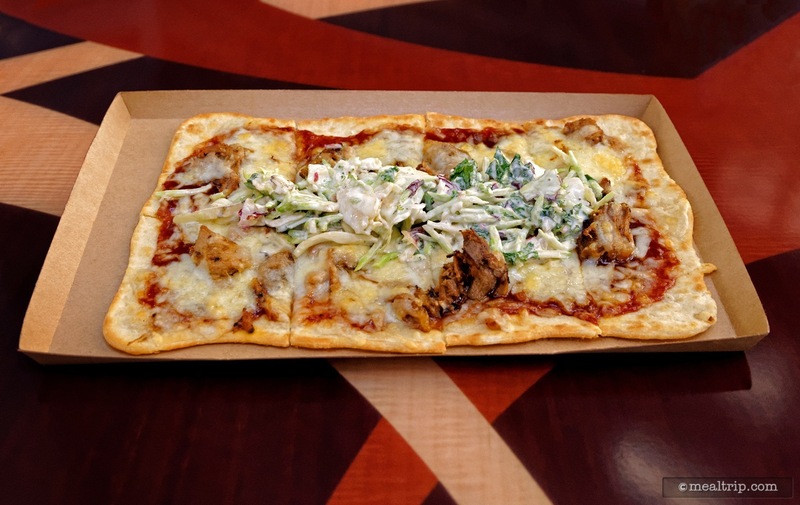 The last time I stopped by, I tried out one of the cafe's seasonal flatbreads, the Smoked Pulled Pork Flatbread with Barbecue Sauce, Jack Cheese, and Vegetable-style Coleslaw. There are usually three or four different flatbread selections (the Caprese Flatbread and Meat Lovers' Flatbread seem to be on the menu most all of the time though) and they do rotate a bit. It might be BBQ Chicken with roasted corn to make a Southwest Chicken Flatbread, and/or we've even seen a shrimp-based flatbread begin offered, (you get the idea). This particular BBQ Pork Flatbread was a bit more sweet than savory, and that's not my favorite take on BBQ pork. 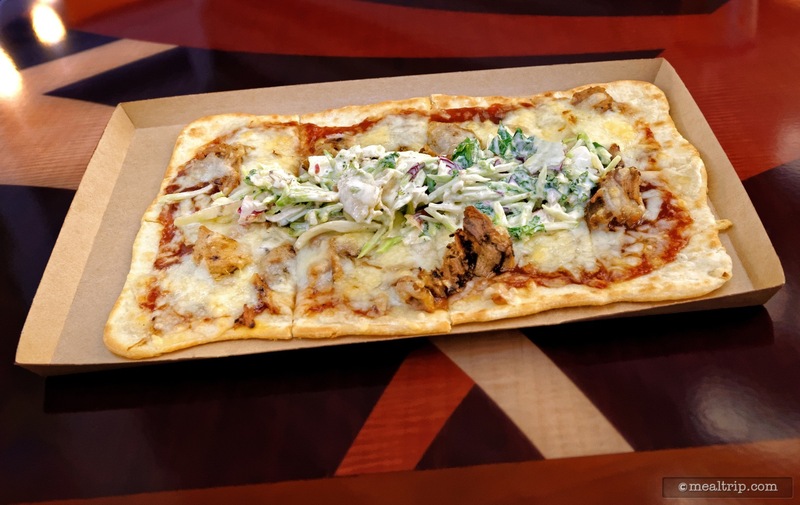 I was hoping for a bit more of a savory kick, but as far as flatbreads go… it had an even, thin crust that was not overdone and there was a good volume of food on top. The coleslaw could have been spread out a little more evenly, but I supposed that was done so you could adjust the topping to your liking. Would I get it again? Probably not. The Caprese Flatbread is one of my favorites here, so I would go back to that one, but again, I just don't like "sweet" BBQ as much as savory BBQ. It wouldn't keep me from returning to the Contempo Cafe for lunch another time though. 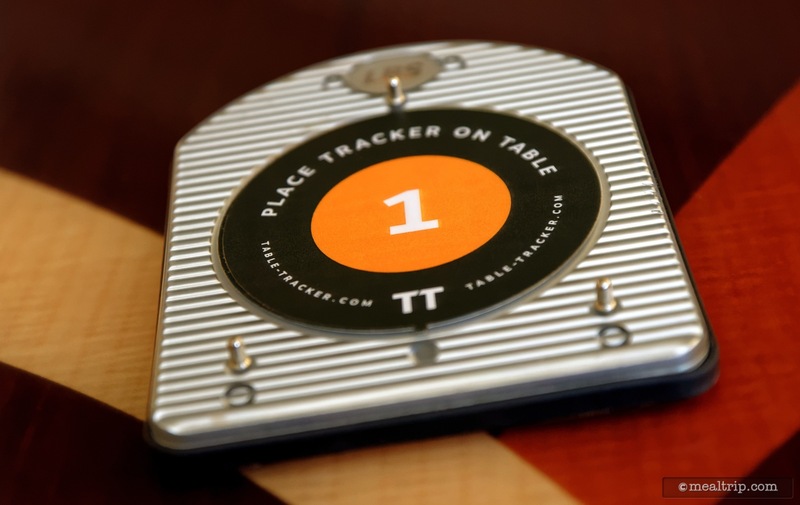 I have dined here a number of times and everything from their meat-topped salads and served-hot sandwiches (such as the Braised Beef Grilled Cheese Sandwich), have been creative and a step above what other counter service locations are offering.